In the tradition of social etiquette and Italian custom, I never go to someone’s house empty-handed. 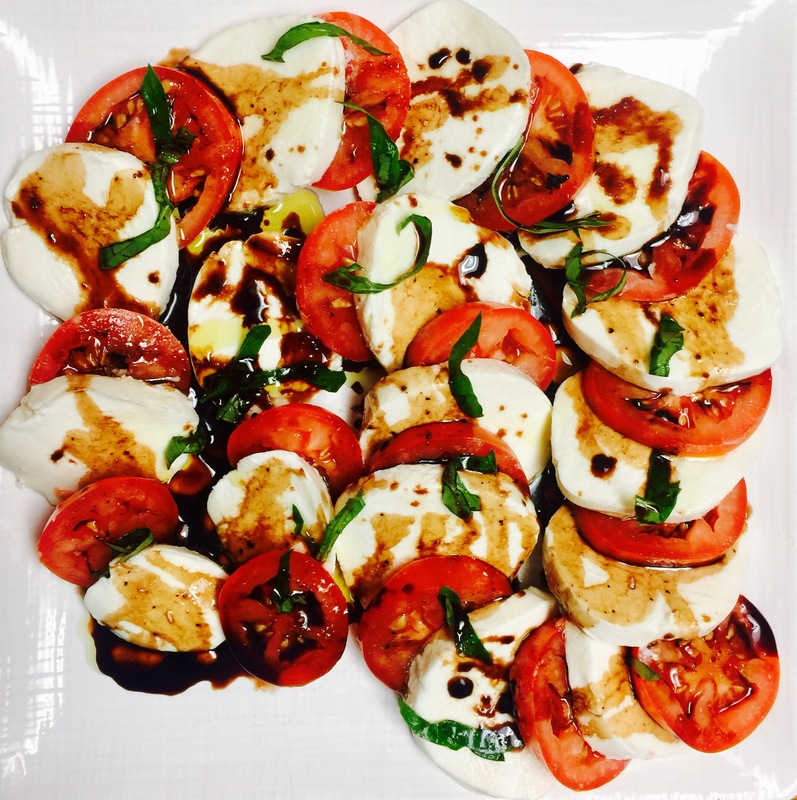 Flowers, wine, cakes, and candy are all fine-n-dandy, but I like to think outside the box and get the party started, Italian-style! I keep Mason jars and lids on hand so that I always have a unique, creative way to say ‘grazie’ to the host. The jars and cool lids are reusable, multi-functional, and a great way to give a gift that keeps on giving. Yesterday, I was invited to a steak dinner, so as I got ready, and within an hour, I had this fun idea to whip up a balsamic glaze and Caprese platter. 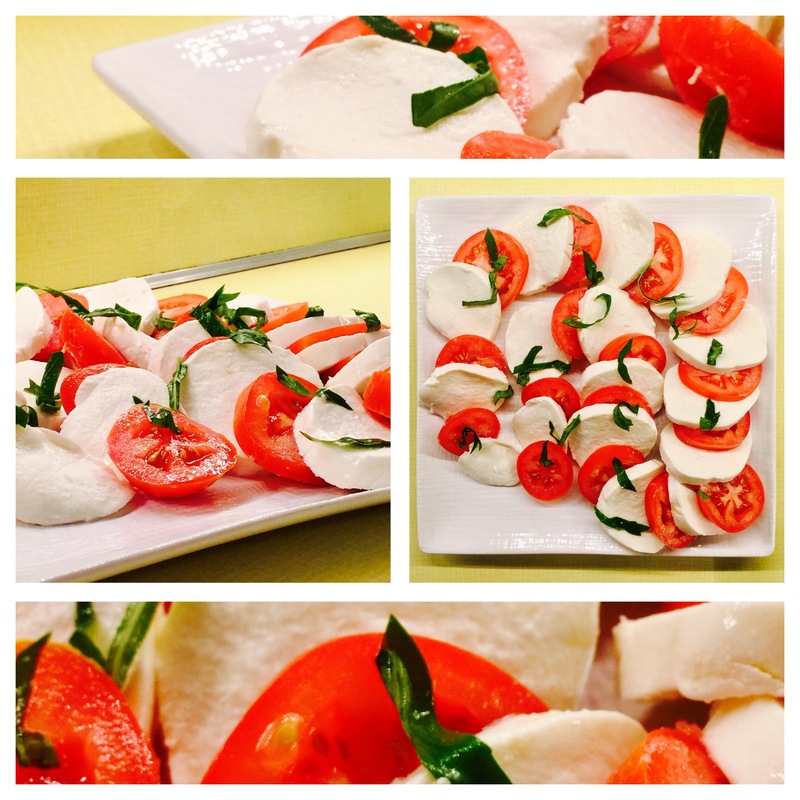 I used 3 ripe plum tomatoes, 1 sliced fresh mozzarella log, and about 6 fresh basil leaves. 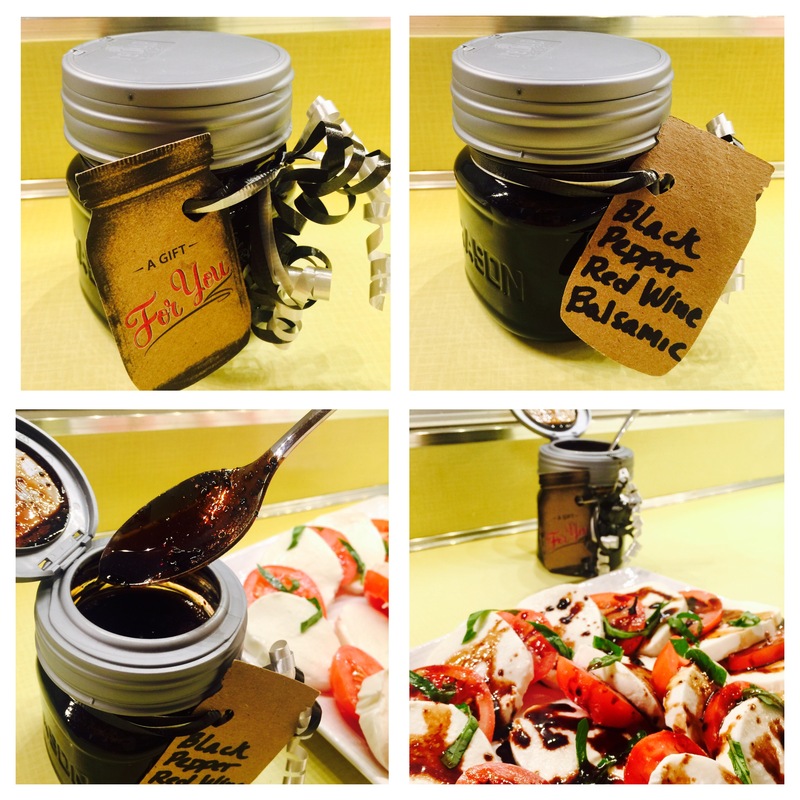 Dress with the balsamic at the party – which is the perfect time to present the Mason jar gift. Add a drizzle of extra-virgin olive oil. Serves 6-8 as an appetizer or side dish. You can buy lids at BOCCAfuda.com/shop. This glaze is delizioso with fruits, cheeses, meats, sandwiches, and pizzas. 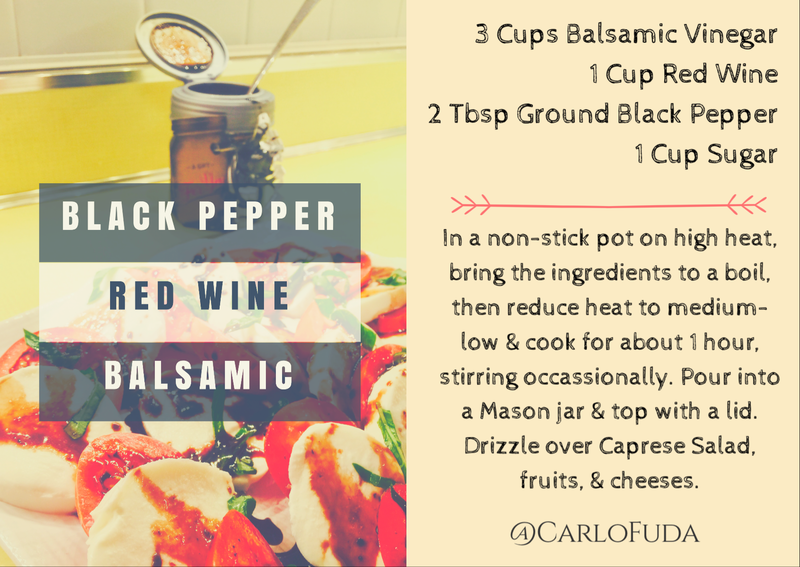 For yourself or as a token of thanks, this flavor-packed balsamic stores stylishly in a jar and will last weeks in the refigerator.